Of all the Speyside Way holidays this is our longest and encompasses both the Dufftown and Tomintoul Spurs along the way. This 7 day adventure is the ‘true’ Speyside Way covering all options along this way and takes in both the spurs of Tomintoul and Dufftown. Starting at the fishing port of Buckie on the Moray firth, you will walk along an old coastal railway before emerging near Spey Bay. From here the way follows riverside tracks and paths into Fochabers. Today is easy walking on woodland paths, minor roads and forest tracks with gentle climbing in Ben Aigen forest. You will be rewarded by good views over the Spey valley. Craigellachie lies in the heart of the malt whisky country and is today’s destination. Today you will head out on the beautiful circular trail of Dufftown spur. The famous Glenfiddich Distillery and the splendid countryside are worthwhile. Again easy walking on a disused railway line through mixed scenery of wooded valley, riverside and farmland. At Aberlour there is a distillery that can be visited. 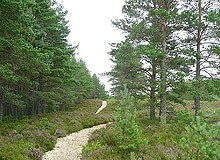 This spur is an extension of the Speyside Way where you experience more rugged walking with impressive Cairngorm views. You will spend a 2nd night back in Ballindalloch. The walk today is rougher and more challenging but with good views. There are lovely pinewoods between Cromdale and Grantown-on-Spey, a small town with fine stone buildings. Today is easy walking using a mixture of disused railway lines, forest roads and unsurfaced tracks, amongst farmland, woodland and moorland of Strathspey. If the distance proves too much you can take the train from Boat of Garten for the last 6 miles. There are good views to be enjoyed. This is a mostly easy and well signposted walk. A relaxing week in beautiful surroundings. Terrain: Woodlands, forest and meadows along the Spey valley, with the odd section of more exposed hillside moorland. Much more ruggged terrain through the hills on the Tomintouls Spur. What’s it like underfoot? Good tracks and paths. Smaller sections can be boggy or rocky. The Tomintousl Spur is rockier, rougher, and steeper! How Much Up & Down? 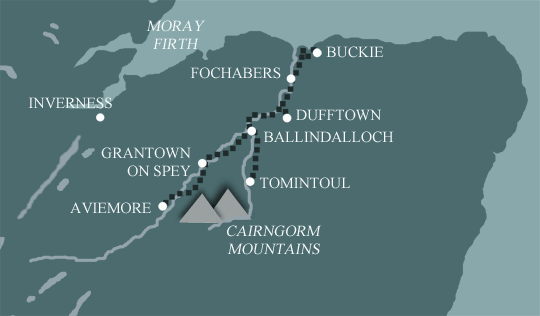 Not too much, except for the Tomintoul Spur, where the route climbs to over 500m in 2 occasions. Gentle rolling countryside for much of the route. A couple of bigger climbs of up to 200m, but nothing too strenuous. Navigation: The Tomintoul Spur covers higher, more remote ground, where you might encouter hill fog, so you must be able to navigate. Otherwise pretty straightforward. Keep your map and guidebook handy though! Weather: The east coast is drier and sunnier than other parts of the country, but it can get windy. There is much more chance of rain as you get closer to the mountains. The higher, more remote ground of the Tomintoul Spur is more exposed. Good waterproofs and warm clothing essential. General travel information on the Speyside Way area will be in your holiday pack including train and bus timetables where available. By Air: The nearest airports are Inverness (INV) or Aberdeen (ABZ). From the airport you travel by train to Keith railway station, then by bus (limited service) or taxi to Buckie – Keith to Buckie is 15 miles. By Public Transport: Travel to Edinburgh, Aberdeen or Inverness by train for connections to Keith railway station. You can then travel by bus (limited service) or taxi to Buckie – Keith to Buckie is 15 miles. By Road: Buckie is situated on the Moray Firth coast in Scotland. Follow the A98 towards Buckie, and then take the A942 into the town centre. By Public Transport: Aviemore is on the main Inverness, Glasgow, and Edinburgh railway line. By Road: Aviemore is 140 miles north of Glasgow, and 126 miles north of Edinburgh. Depending on your preferred direction for onward travel, either of these two locations will connect you with motorways. 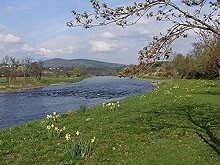 Lying between the banks of the River Spey and Ben Rinnes, Ballindalloch is a rural community, in the heart of Speyside. At its centre lies the magnificent Ballindalloch Castle, one of the most beautiful castles in Scotland and known as the 'pearl of the north'. A visit to the Castle and its gardens will be a real highlight of your walking holiday. Both the Cragganmore and Glenfarclas distilleries can be found in the small community of Ballindalloch and they do offer tours.There may also be the chance to play a round of golf at Ballindalloch Castle Golf Course. Grantown-on-Spey is an elegant Georgian town situated in the heart of the Spey Valley, surrounded by majestic scenery and supporting a wide variety of wildlife. Visitors can visit the Grantown Heritage Museum or the delightful Revack Estate with attractive gardens, an orchid house and nature trails. Grantown is famous for its superb 18-hole golf course.